Each week I field questions from readers, ranging from “What are dairy foods?” to “Are there any good vegan cheese alternatives?” Select FAQ’s are highlighted here. Please be sure to check out my answers to the following questions and also read my Newbie Starter Page before submitting any additional inquiries! Are there any Dairy-Free Meal Replacement Shakes or Nutrition Beverages like Ensure? Are there Cheese Alternative that are truly Dairy-Free and Casein-Free? Ask Alisa: Do you have tips for dining dairy-free with dairy-consuming dinner companions? Ask Alisa: How can I substitute the dairy in homemade Bailey’s Irish Cream? Ask Alisa: How can I substitute whole milk in my childs dairy-free diet? Ask Alisa: How does calcium in milk alternatives measure up to the calcium in milk? Ask Alisa: I am intolerant to dairy, but could I be intolerant to soy also? Ask Alisa: I am lactose intolerant, should I be worried about casein? 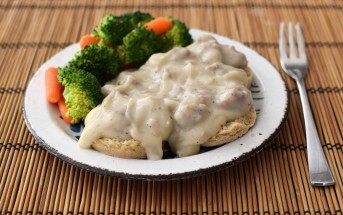 Ask Alisa: I am sensitive to milk protein, but can I tolerate dairy foods that are mostly fat? 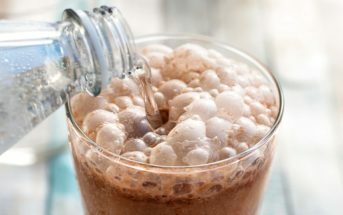 Ask Alisa: Is chocolate dairy free? Ask Alisa: Is lactose-free milk a good option for dairy sensitivities? Ask Alisa: Is there such a thing as dairy-free whey? Ask Alisa: What brands do you suggest for dairy-free multivitamins and calcium supplements? 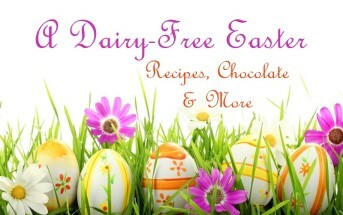 Ask Alisa: What brands of chocolate do you recommend for dairy-free consumers? Ask Alisa: What is the best milk alternative to cook with? 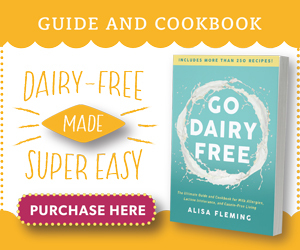 Can I Find Go Dairy Free the Book in Stores? 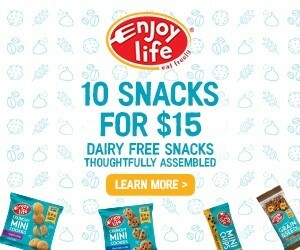 Can you recommend Packable Dairy-Free Snacks and Breakfast Items for Traveling? Do you have any Articles to show that Milk Allergies can be as Serious as Peanut Allergies? Does Cocoa Butter Contain Dairy? Does Goat Milk and Cheese Qualify as Dairy? What about Sheep Milk Products? Does the Ingredient Caramel Color Contain Milk? Does the School Lunch Program have the Right to Require Kids to Take Milk? How can I avoid Cross-Contamination of Milk and Other Allergens in My Kitchen? How Can I Cut Out a Whole Food Group, is it Safe? How Do You Manage Holiday Dinners with a Milk Allergy or Other Special Diet? I have to go Dairy Free and Gluten-Free. Where do I Start? Is there a Dairy-Free and Soy-Free Cream Cheese Alternative? What do I do if I am craving pizza or ice cream? What is Lactase? Will it Help with Lactose Intolerance? What Starter Can I Use to Make Dairy-Free Yogurt and How Do I Make It? What’s the Difference Between Casein-Free and Dairy-Free? Where can I find Dairy-Free and Vegan Butterscotch Chips? Which Alcohol is “Safe” for Making Dairy-Free Drinks? Which is Better for Weight Loss, Milk or Milk-Free? Why is it so Difficult to find a Good Vegan Hard Cheese Alternative? Will I need to supplement with any vitamins? 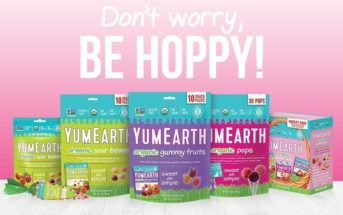 Will non-dairy yogurt provide a similar probiotic benefit to “natural” yogurt? 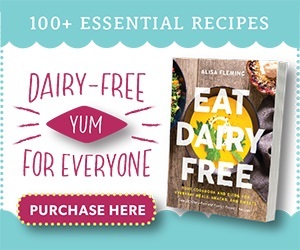 Alisa Fleming is the Founder of GoDairyFree.org, Senior Editor (Food & Lifestyle) for Allergic Living Magazine, and Author of Go Dairy Free: The Guide and Cookbook for Milk Allergies, Lactose Intolerance, and Casein-Free Living in addition to other popular publications. Beyond her own dairy-free lifestyle, Alisa has experience in catering to the needs of various special diets, including gluten-free, soy-free, egg-free, vegan, and multiple food allergies. If you have a question for Alisa, contact us.